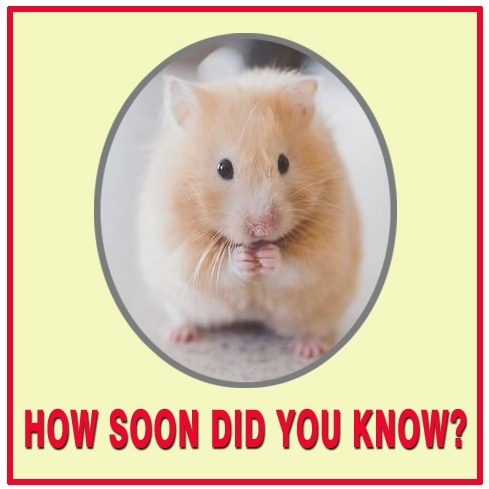 How Soon Did You Know? "Put Shirley on a heating pad -- give her this medicine every four hours -- but you need to be realistic -- this is a very weak hamster." Kathy stayed up with Shirley all that night and the next one as well. On the third day a healthier hamster began spinning her wheel, and Kathy knew she wanted to become a veterinarian. Today, she is one, and loves it. "Ah-Ha" moments like this happen to students every day, but unlike Kathy's, usually go unnoticed. I missed one myself. On my thirteenth birthday, my aunt gave me a camera. At first I just took snapshots, but it soon became something more to me. I began to read about photography and blend images into stories. I wasn't crazy about school work, but with that camera I created photo essays that blew my teachers away. I didn't recognize the career clue at the time, but I grew up to become a filmmaker and writer. A successful architect remembers his special attraction to Lincoln Logs. An award-winning chef recalls the thrill of helping his mom prepare holiday dinners. An international airline pilot decorated her teenage room with travel posters. But, just like me, not one of these three recognized those early clues to their adult career satisfaction. Without realizing it, every student receives a similar stream of clues to a successful future. The things they enjoy and do well, their hobbies, heroes, and favorites, where they like to be, and where they don't. We invite you to visit our home page for a sampling of multimedia techniques that simplify this process of self-discovery for students of all ages. And .... how about you? How soon did you know? What were your clues? 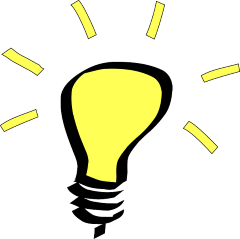 Do you have friends or relatives with interesting histories? I, along with many others would love to hear your story, so please take a moment to share it in the comments section below. 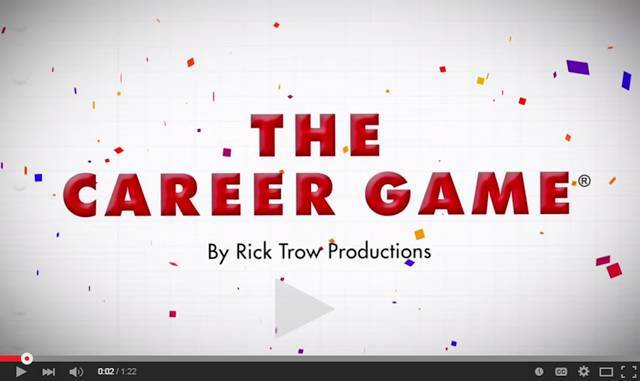 The Career Game uses a fun format to help students discover the career clues in their everyday lives. This video will explain how. To learn more about our inexpensive print and computer techniques for matching personality to career success, please visit our home page. Early cues are so easily missed, thanks for posting this! I was given a nurse outfit when I was 4. I watched Julia when I was allowed to. I was hooked. I took care of the famed Gail Fisher from Hawaii 5-0 (I think she was from that show) in my room/ hospital. All of my "patients" were pregnant, something I forgot about until years after I became an OB nurse. Now I practice as a nurse practitioner still in OB and love (almost) every minute of what I do. It'll be 31 years next month. can we use this in our newsletter???? Yes, any of our posts may be republished with our identification intact. Looking back to my child hood I remember my mom coming home on Friday nights around 7:15 from her bank teller job/career. She would often complain about how tired she was. I remember thinking to myself at the age of 7 or 8, "I need to help mom out with things around the house since she is so tired after a long week of work." So I became the "duster" or as my older brothers remembered it "the maid" of the house. I also remember having a soft spot in my heart for anybody that was "different" in some way than most others. These early memories and feelings probably led me to my eventual career as a school counselor. I am thankful to be in a profession where I can truly "Help Others" every single day.